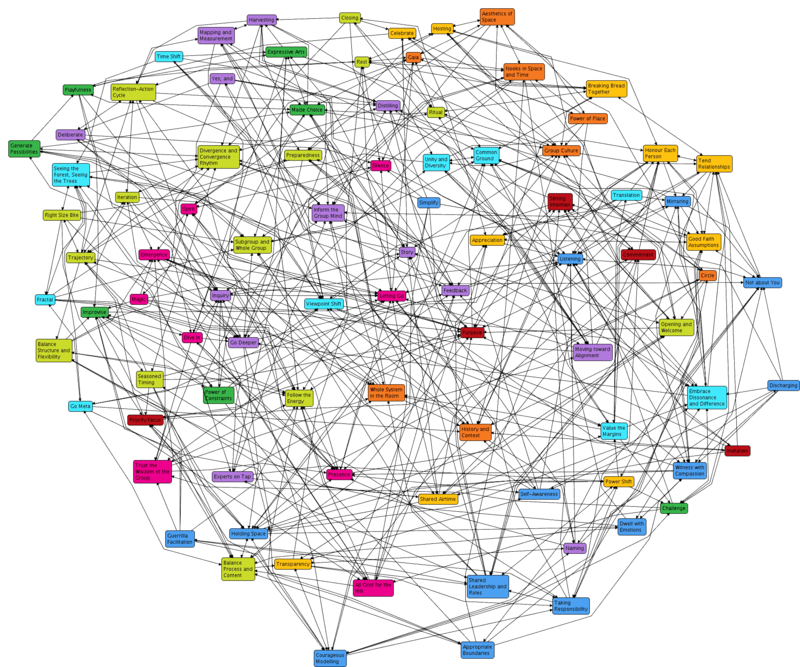 Here is a map showing all of the patterns, their categories, and their relationships. An arrow pointing from pattern A to pattern B indicates that B is a "Related Pattern" of A. Relationships are part of what make this whole thing a "pattern language" rather than just a set of elements. The idea is that if you want to implement one particular pattern, consulting its primary Related Patterns will help. Due to space constraints on the cards and the need to keep things simple, we limited the Related Patterns to 7 or less, and as you may imagine it was quite a process working out which they would be for each pattern.